ZAB JUDAH: "I PROMISE, YOU'LL SEE THE BEST ZAB 'SUPER' JUDAH THERE IS"
"A lot of those people that were saying that will be very pleased and they will be able to see that, if God forbid this fight should go 12 rounds, then they will see a dominant, solid 12-round Zab Judah...We're feeling great about this fight coming up and, you know, March 5th, you guys will, and I promise, you'll see the best Zab 'Super' Judah there is to see....Kaizer Mabuza has one ultimate route. His plan is to try to pressure Zab Judah, get lucky and throw a lucky punch. I mean, there's nothing else that he can do. He's not a boxer. He's not known for having tremendous skills. He's going to be in great shape, as most of the African fighters are, and try to come forward and land the big shot. Like I said, of course he's going to be in great shape and, you know, he's going to try to come in and be the bully and be aggressive, but I got something for that. This might be the best performance that you guys see Zab Judah put on," stated former jr. welterweight and undisputed welterweight champion of the world Zab "Super" Judah as he talked about his upcoming March 5th showdown with Kaizer Mabuza for the IBF jr. welterweight title. Check it out! BT: So tell me about it, man. What are we, 14 days away now? ZJ: 14 days away! I'm excited. I just boxed 12 rounds today and I'm excited; I'm very happy. BT: It's not too often that a former jr. welterweight and undisputed welterweight champion gets to go back to regain the first title he ever won. How does it feel to have an opportunity to make history like that? ZJ: I mean, like I said, I'm just focused again, you know? I gave my life to Jesus Christ and I've been happy ever since. BT: Tell me about that a little bit, man. That's a pretty major life change. What made you go through that? ZJ: I wasn't a Christian for years. My grandmother and my grandfather are pastors. I've been saved since I was a young boy, but, you know, I grew up in the Hebrew Israelite Jewish faith. It's just that, you know, when you get to a certain age, you need to take things into your own hands and make your own decisions. Just the last, maybe the last two years, me and my wife, you know, we moved to Vegas and we were just delivered. Jesus delivered us, man, from all the evils, from all our trials and tribulations, and it's been great ever since. BT: A lot of casual fans might find that hard to believe that you could change in such a dramatic way. I mean, in the past, you could be found hangin' out with Lil' Kim, being up in the Hip Hop videos and whatnot, so hearing you talk about being saved or tweeting about the Lord on Twitter might come off a little surprising, or even fake to some. ZJ: Well, you know what? All I tweet about now is the Lord. I mean, I still speak about regular everyday things, and stuff like that, but for the most part, I speak about what's going on in my world and, you know, so far, the year is still early, but I have not made my way to no night clubs. Since let's say about summer time of last year, I haven't been in no night clubs; I haven't partied. Like I said, I've just been changing. Not to say night clubs is bad or anything like that, but it's just that when you was doing something for so long and it was hindering you, you gotta pull 100% away from it so that you can move on and do bigger and better things, you know what I'm saying? If you keep dippin' and dabblin' and going back and forth, you're not going to ever find sanity inside yourself. So I had to remove myself totally 100% from the night club world, the party life, you know what I'm saying, and just give God my full attention. BT: Has that been the major factor in the change in your career? It seems like the timing off that life change coincides with your whole comeback. You've progressively gotten better and better and back to the Zab Judah you were early in your career. ZJ: I mean, it speaks for itself. I tried to mix and match, and for years, you know, it worked for me because of my talent; and, you know, it was a God-given talent. I think I just came to a point where God was like, "Okay, you're taking advantage now. Now, you know what? Let me relax you a little bit." I mean, because some of the fights that I lost, we all know I wasn't supposed to lose. The first fight to Spinks, the Baldomir fight, the Mayweather fight, I mean, there was a lot of fights; the Cotto fight. I mean, there was fights that...there were a lot of things that I was into and I could've won, but the Lord was like, "No, you're not ready for this yet, so I can't give you this." ZJ: (CUtting in) True, true, true, true. True, true, true, true. You know, I'm a man of my word and, I mean, the Baldomir fight, I didn't really take too much interest in it. I mean, you gotta look at it, I was young, I was undisputed champ of the world, I had the world in my hands, I was making a lot of money, and here's this guy from Argentina coming over. I was like, "I'm gonna crush this kid." So, you know, I didn't prepare myself to the best of my ability and it showed in the fight, but still, I thought I pulled the fight off. But hey, things happen and, you know, I'm back. I'm back at jr. welterweight, I'm back at a comfortable weight, and now I think I'm back and I'm going to send a statement in this fight to the rest of the division that Zab Judah is here to take everything over, so, you know, they can either get down or lay down. BT: How are you feeling at 140? Is that much more comfortable for you or do you think you can still fight at 147? Does it make any difference? ZJ: Nah, I mean, I don't think I need to go back to 47. I would rather stay at 140. You gotta remember, when you fight at 147 pounds, you're fighting a lot of guys who are bigger than 147 pounds, so I was in there with Joshua Clottey and Miguel Cotto and those guys. I was finding myself on fight night maybe making 149 and these guys coming up to 160. These guys are huge, you know what I'm saying? I was like, "Wow, I'm fighting a solid middleweight." You know what I'm saying? At 140 pounds, I don't gotta worry about that. The most a guy might get up to is probably about 147 and, you know, that's about the same kind of weight I'll be weighing in at, so it'll be pretty much even. ZJ: (Cutting in) I think that's a true statement. I think that's a true acknowledgement. I think that, for this fight, a lot of those people that were saying that will be very pleased and they will be able to see that, if God forbid this fight should go 12 rounds, then they will see a dominant, solid 12-round Zab Judah, you know what I'm saying? Like I said, come March 5th, I know Kaizer Mabuza is a very tough individual. He's a very tough fighter. He's fighting for his chance to be a world champion for the first time. He's also fighting for his country, he's fighting for his legacy, so, you know, he's coming over here with a lot on the table. You know, like I said, I'm back at 140 pounds. I'm feeling great. My boxing ability is great. I picked up Pernell Whitaker, the best defensive fighter in the world. You know, my father taught me great offense, you know what I'm saying. 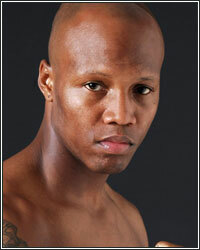 With those things together, Zab Judah is going to be a phenom in the 140-pound weight class. BT: You've worked with Pernell several times before in the past. How much of an influence has he been this time around? ZJ: Well, I've been knowing Pernell Whitaker for years now. I mean, my first professional fight, actually, was the co-main event to Pernell Whitaker. I met him at the age of 15 years old, after my first Golden Gloves. Duva had told me, "Do I want to go to camp with Pernell Whitaker?" At the time, I idolized Pernell Whitaker, you know what I mean? I was like, "What? Is that a joke? Yeah I want to go to camp with Pernell Whitaker. Of course! That's one of my top guys." To be able to be around him for so many years, you know...actually, when he fought De La Hoya, if you look back at the tape, I was one of the guys that carried the belt into the ring. So we go way back. We got great chemistry. I think that he's been doing a lot of training with a lot of different guys and I think that he's been looking for that guy he can dump over all his skills onto and just, you know what I'm saying, sharpen them up and I think that I'm the man for the job. So far, it's been great. We're working out. Like I said, I've got God speed and this right here, with Pernell Whitaker and Zab Judah, it's God-given. We're feeling great about this fight coming up and, you know, March 5th, you guys will, and I promise, you'll see the best Zab "Super" Judah there is to see. BT: Well it sounds like you've taken all the necessary steps and you're definitely not taking Kaizer Mabuza for granted. ZJ: I mean, Kaizer Mabuza has one ultimate route. His plan is to try to pressure Zab Judah, get lucky and throw a lucky punch. I mean, there's nothing else that he can do. He's not a boxer. He's not known for having tremendous skills. He's going to be in great shape, as most of the African fighters are, and try to come forward and land the big shot. Like I said, of course he's going to be in great shape and, you know, he's going to try to come in and be the bully and be aggressive, but I got something for that. This might be the best performance that you guys see Zab Judah put on, for now. BT: I know you're focused on this fight, so I don't want to talk too much about potential fights with Pacquiao, Mayweather, Bradley, Khan and guys like that, but how important is this fight to you just to get back into contention with all of those guys. ZJ: Like I said, it's always great to be a champion, you know what I mean? People knowing you as being the best is cool, but to be solidified on paper as a champion is a great feeling. Come March 5th, 14 days aways, I will be the new jr. welterweight IBF champ of the world. Actually, it's one of first world titles that I ever won. If you guys remember, I beat Jan Bergman, who was also from South Africa. He was also a South African fighter and I beat him for my first IBF championship of the world, so it's almost like deja vu all over again. That fight lasted four rounds and, you know, it's somewhat like deja vu all over again. I prepared myself to the best of my ability and I'm looking forward to just having a great night of boxing. BT: Uh oh. You said deja vu all over again; you sound like you're expecting another four round fight. ZJ: (Laughing) I ain't gonna call it. I'll let y'all watch it. BT: (Laughing) Well like you said, you're fighting for the IBF jr. welterweight title again, you're fighting another African, and you're back with Main Events again, so it truly is like your career has come full circle. ZJ: Yeah, yeah. Definitely. Like I said, working with my trainers and everything like that, adjusting to the style, I believe that March 5th, everything is gonna come full circle. This is a statement fight to the rest of the whole jr. welterweight division for guys to say, "Yeah, I want Zab" or "No, I'm staying away from Zab because Zab's a problem." BT: You know, regardless of your performance on March 5th, it seems like guys have always been somewhat reluctant to step in the ring with you. ZJ: (Laughing) Yeah, but this one...watch this one. They're going to be like, "Nah, you know what? We talked to our promoter and we're going to move on and do something else." BT: (Laughing) That can be a problem for future fights if you look too good though. ZJ: I mean, that's the plan. Whether they run or not, it's for the public to understand and see that these guys don't want to fight, but I'm going to come in there and give the best Zab Judah that I can bring on March 5th.